Here is positive support for todays young Catholics as they prepare to join the community of the Church. 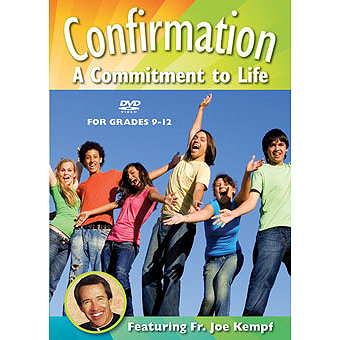 Join the popular Father Joe Kempf and a group of high school students as they prepare forand learn aboutconfirmation. In a series of video vignettes, these young Catholics face the same problems as other adolescents: issues of sexuality, peer pressure, relationships, commitments, and doubts about themselves and their faith. As they prepare for confirmation, Andy, Michelle, Sarah, and the other students learn that the sacrament of confirmation is a way to say yes to the love of God that resides in all of us and that confirmation is a way to choose to love God and Gods people. The students discover how God and confirmation fit into the real world, how they are welcomed into the community of the Church, and how they must accept responsibilities as members of that community. The students, each in his or her own unique way, discover they are not in this alone. The video concludes with a moving and affirmative confirmation service.